A dog friendly home is the last thing on the mind of dog owners when they bring their pets home for the first time. For most people, their primary concern is food, water and a place to sleep for the little dog. While these three things are essential, dogs need much more to settle into a home. 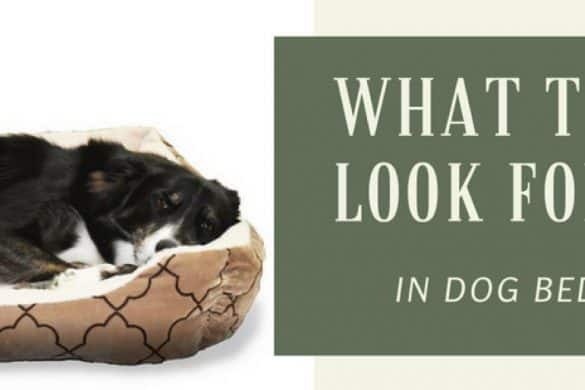 They may look adorable, but dogs can get into quite a bit of mischief or cause accidents. 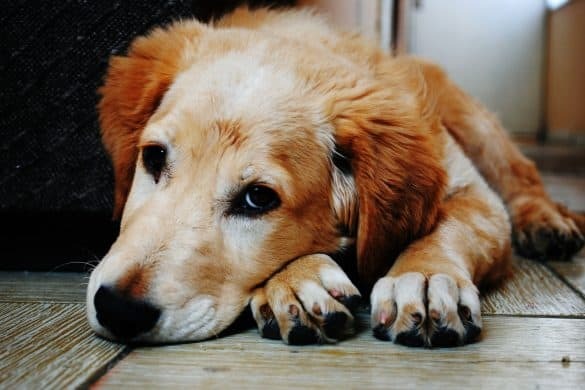 It's up to us to prevent such occurrences by creating a dog-friendly home. Use child locks to keep your dog out of storage areas such as bottom level cabinets and cupboards. For example, put a child lock in the kitchen cabinet where you keep cleaning supplies under the sink. Using a child lock to close such a place will keep your pet from getting into the cleaning supplies which can be dangerous. Baby gates come in handy when you need to keep your dog out of specific areas in the home. For example, you may want them to stay downstairs away from the upstairs bedrooms. Putting an appropriates size baby door at the foot of the stair care will help. Use a strong cable protector to hide electrical cables. 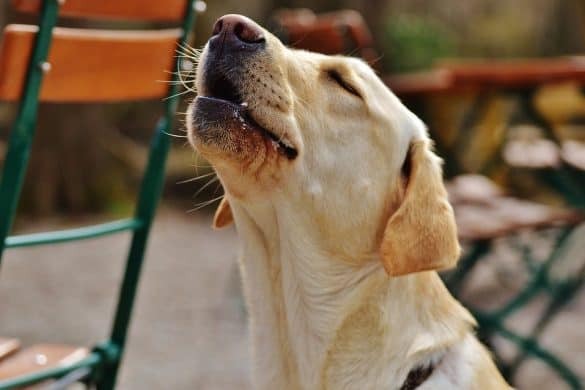 Dogs love chewing at wires and will destroy yours if you don't keep them out of reach. If you can't use a cable protector, then hide the cables behind cabinets or couches where your dog cannot get to them. Also, go down to floor level to see your home from the perspective of the dog. It will help you to prevent a lot of doggy accidents. For example, it will help you to identify and put away any items that your dog can accidentally knock over such as vases, sculptures, and potted plants. If you are going to let your dog outside, you need to fence the area properly. You can have a physical fence made of wood planks that your dog cannot jump over. A better idea is to use a wireless dog fence to keep your dog in your yard. 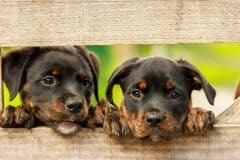 A wireless dog fence is an electronic fence set by a transmitter, which keeps your dog from running beyond a set boundary. It requires your dog to wear a collar with a receiver that captures signals from the transmitter. You use the transmitter to set up limits that the dog cannot go past. If the dog tries to go past the boundaries, it receives a mild electric shock from the collar. Using the wireless dog fence, you can keep your pet in the yard and be sure that it will not run off. It also works well when you want to keep your dog off sensitive areas such as the flower beds, swimming pool or a busy street. It saves you from having to erect a physical fence to keep your dog home and is simple to operate. For more read these wireless dog fence reviews. Your home is not a prison for your dog. Dogs need some time outside to run around and have fun. They also require some time to relieve themselves at least twice a day. It may be cumbersome for you to keep letting your pooch out. The solution for this is an electronic dog door. An electronic dog door is a small exit point you install in your front or back door for your dog. 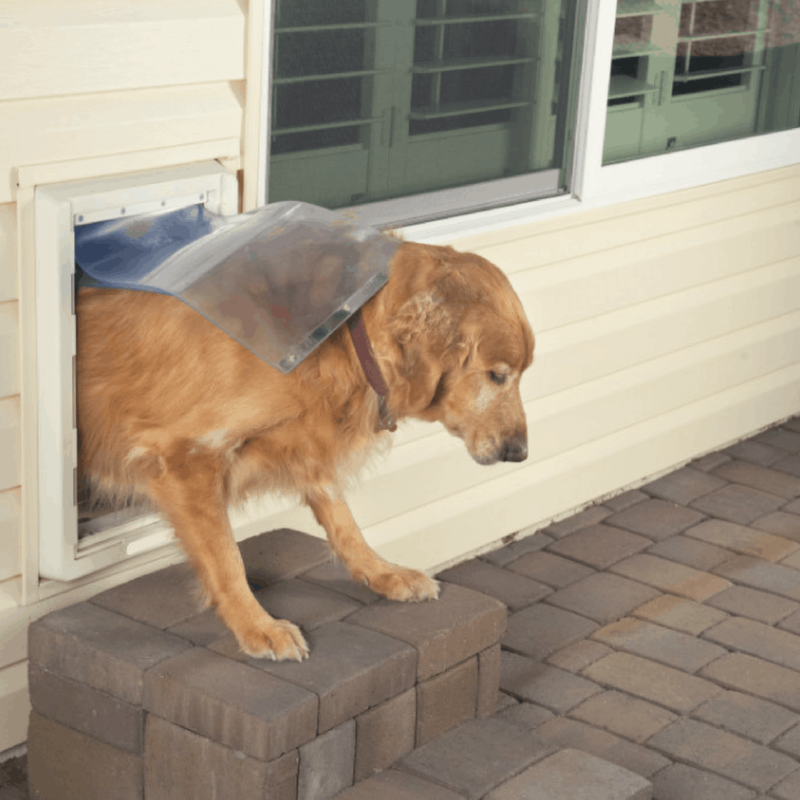 It allows your dog to get in and out of the house as it needs. Best electronic dog door comes with extra attachments you can use to restrict your dog's movements. You can get a dog door that comes with a matching collar with a key fob. The key fob is your dogs key for its doggy door. It ensures that its the only animal that can get in and out using that dog door. Otherwise, you may find creatures in your home that you did not invite in such as squirrels and strange cats. To make it entirely safe, get a pet door you can operate with an app. The app allows you to monitor how often your dog gets out of the home. You can also use it to ensure that the dog only gets out when you let it. 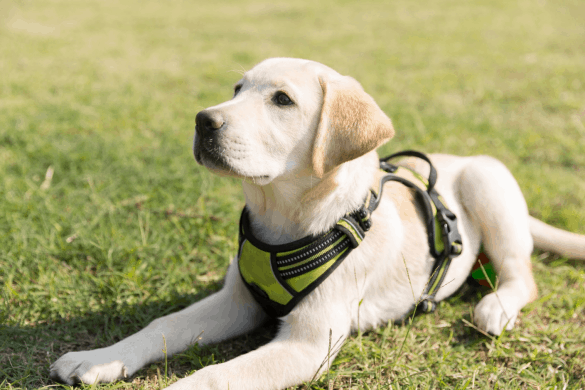 It’s a great option because it gives you control of your dog’s movement otherwise many dogs will get in and out of the house through the dog door more times than you can count. When you get a dog, expect your floors and upholstery to get some scratches or a lot of scratches. Dogs run around, claw at things and occasionally poop on stuff. So you should prepare for this in advance by installing dog-friendly flooring and upholstery. A suitable material for the floors of a dog friendly home is floor tiles. They are hard to scratch and are cool for dogs to lie on when it gets too hot. 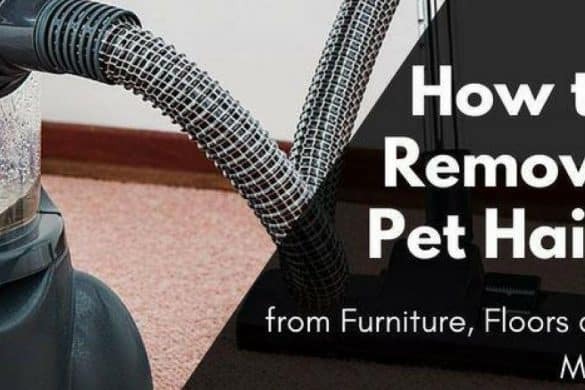 You may also, want to put your carpets away as dogs often poop on them. It's also a good idea to trim your dog's nails often so that they don't skid over floors. 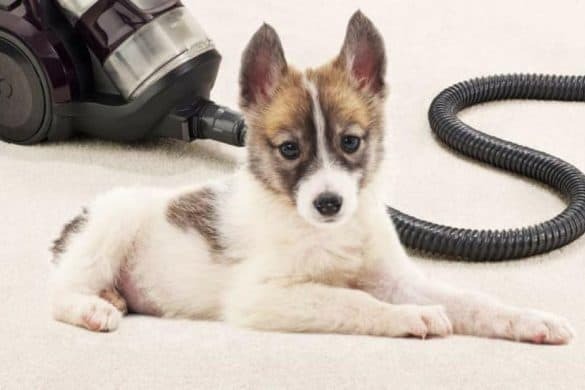 Most importantly get a good vacuum cleaner as you will need to vacuum regularly to get rid of the shed hair from your pet. In a home, every member of the family needs a place of their own. Your dog needs its space too. You can create one using a dog crate where it can relax during the day and sleep at night. Get a dog crate that is right for the dog's size. Ensure you put in a warm blanket and add some chew toys for it to make it comfortable. You can also buy a dog bed for your dog to sleep in if a crate is too much for you. Dog beds come in a variety of sizes to fit any dog. They are snug and give dogs a sense of security. You can use a removable cover for your dogs if you allow them to sleep on the couch or bed because they are easy to keep clean. Your dog should also have a spot where it goes to eat and drink. Most dogs are messy drinkers and eaters, so you want this space to be out of the way. You can buy a dog feeder with a timer that releases food and water at designated times for your pet. You won't have to measure out food for it all the time, and its a great way to train your dog on feeding time and portion control. Dogs need entertainment and something to occupy them so that they don't let out their boredom and frustration on your prized possessions. There are many options for doggy entertainment you can get for your dog friendly home. One of them is the good old television. Stick your dog in front of the TV and let it watch some animal shows. You can also buy dog puzzles or kongs for your pet. Dog puzzles or dog kongs are toys you stuff food in and your dog has to find a way of getting it out. They can keep your pooch busy for hours and are great exercise options too. 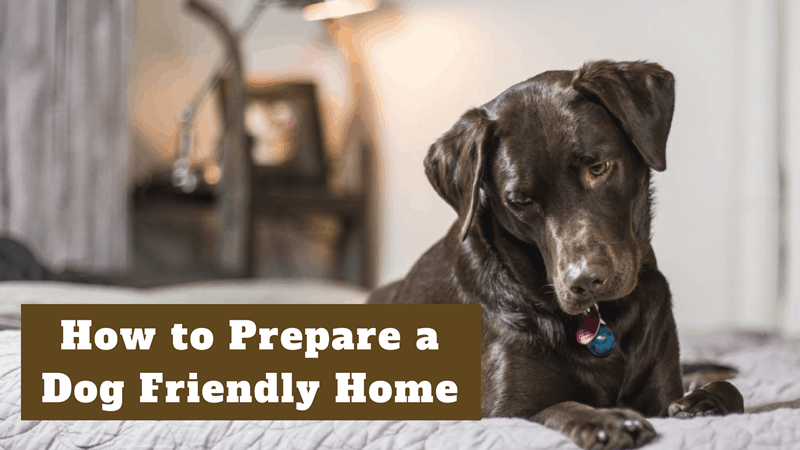 These are a few things you can do to provide a dog friendly home for your pup. Even as you provide all these things, keep in mind that it takes time for many dogs to adjust to their new home. However, with lots of patience and love, they end up being loyal and loving family members you can cherish.